What really goes on inside a sentence? What is your subject, and where is your verb, and what is its tense, and where is your modifier, and why does it matter? Where do you need a comma, and where do you not? Why are dashes and semicolons so misunderstood? When is it which and when is it that? In The Little Green Grammar Book, Mark Tredinnick asks and answers the tough grammar questions?big and small?with the same verve and authority readers encountered in The Little Red Writing Book. 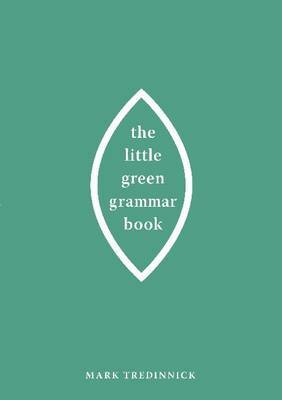 The Little Green Grammar Book does for grammar what The Little Red Writing Book did for style. It will have you writing like a writer in no time.